Walton began his career with hometown club Leeds United and made his debut aged just 16. After struggling to break into the first team he joined Charlton Athletic in 2006, but soon moved on loan to Ipswich Town and also joined Cardiff City temporarily in January 2007. Without a first team appearance at Charlton, he moved on to Queens Park Rangers but shortly afterwards broke his leg. After recovering he joined Hull City on loan before the move to Argyle, which could have resulted in a club record fee. Despite starting the season in the first team, Walton soon fell out of favour with Paul Sturrock. After not starting a game for nearly three months, he was given another chance but was sent off at Barnsley for violent conduct and subsequently placed on the transfer list, later joining Blackpool on loan. After trials with several clubs failed to realise a transfer, Walton joined Crewe Alexandra on loan for the entire 2009-10 season and followed this with a similar move to Sheffield United at the start of the 2010-11 campaign. During his first pre-season game for the Blades he suffered a cruciate knee ligament injury and a deal was agreed to cancel the loan. 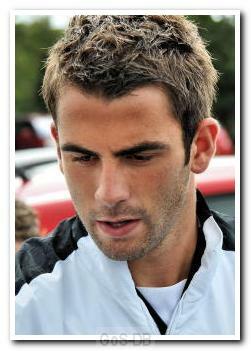 In April 2011, over two years after his previous appearance for the Pilgrims, he returned to the Argyle first team. Playing in seven of the final eight games of the season, Walton did much to impress and, against all odds, suggested he had a future at Home Park. The following campaign saw him become a regular member of the side and, when Carl Fletcher took over as caretaker-manager, Walton was appointed team captain. 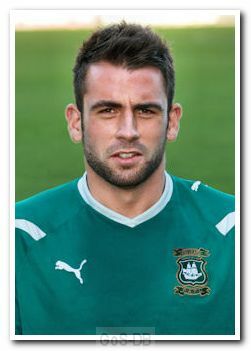 During the 2011-12 season, Walton played more than 40 times and his goals, several of which came from the penalty spot, played a large part in Argyle avoiding relegation. In April 2012 he was rewarded with a contract extension, Fletcher revealing that Walton had agreed a new deal the previous year to aid the club in coming out of administration. However, just three months later the club agreed to release him for personal reasons, so that he could sign for Hartlepool United. Walton went on to play 83 times, scoring four goals for Pools before moving to Stevenage in June 2014 on a free transfer. After five goals in 33 appearances for the Hertfordshire side, he moved to another of the Football League's newer clubs, Crawley Town, in June 2015 on a two-year deal. After four goals in 39 appearances for Crawley in the 2015-16 season, Walton's contract was settled on mutually agreed terms. In September 2016 he signed for Guiseley AFC in the National League (5th tier), and four months later, after 14 appearances, his contract at Guiseley was extended until the end of the 2016-17 season. In June 2017, Walton left Guiseley and signed a two-year deal with National League rivals Sutton United.